Nail art need not be done just on acrylic nails it’s possible on your natural nails too. 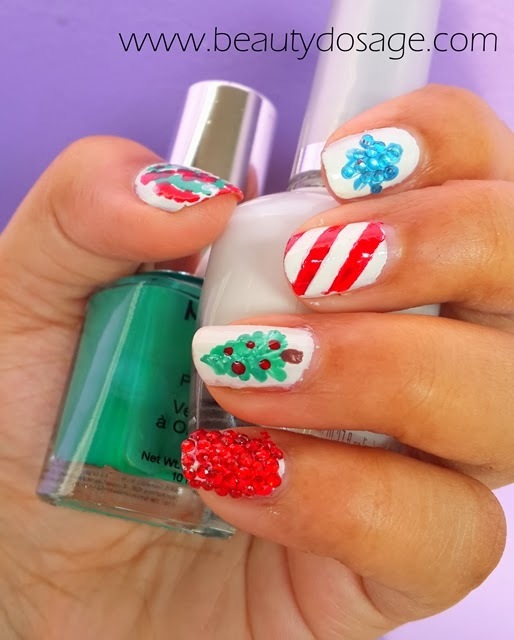 Easy nail designs are getting more and more popular on the net just because people want to do their nails at home rather than spend a ton at manicurists. 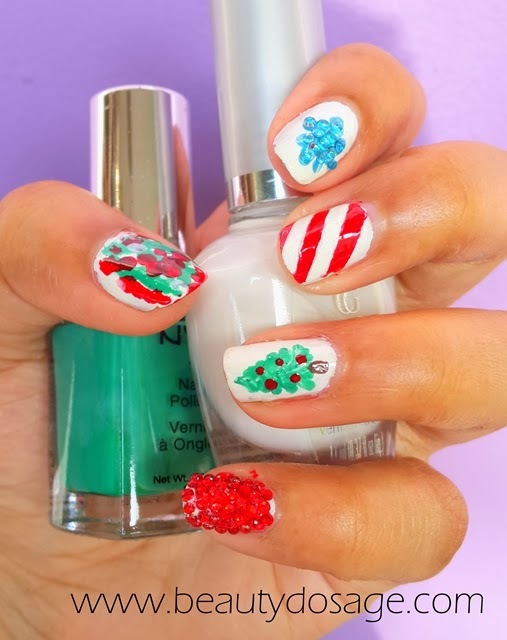 Fashion nails are quite popular especially during the holiday season and what better way to do rather than include Christmas tree nail art? 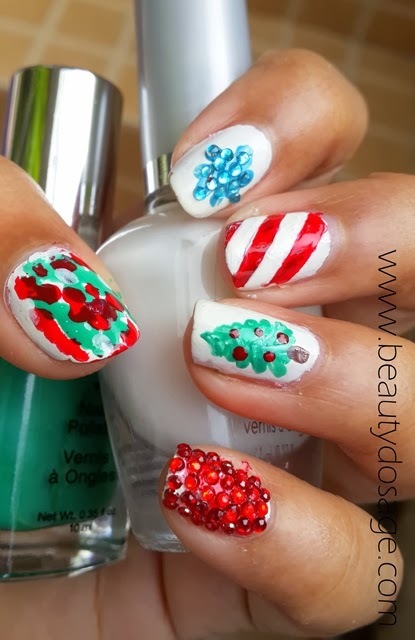 Since its Christmas tomorrow all of you celebrating would definitely be online searching for inspiration for your holiday manicure so I though this would be the perfect time to do one for you guys. 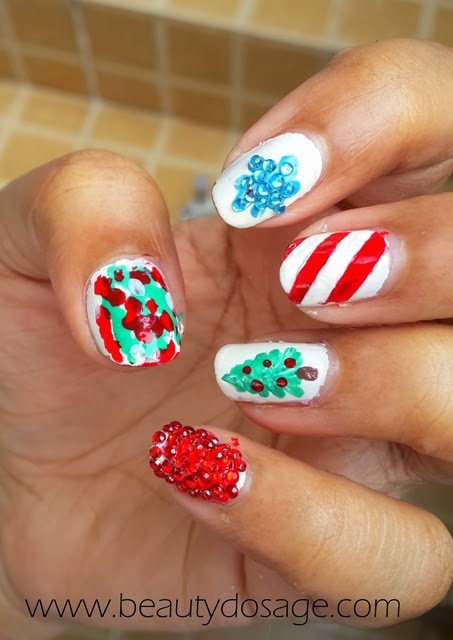 This nail art didn’t have any planning or anything I just aced it and this is what I came up with. Of course you can make all your nails look similar but I really wanted to try something with variety. Hope this helps. Wish you Merry Christmas and great holidays!